Narrated by Edoardo Ballerini, The Swerve: How the World Became Modern by Stephen Greenblatt is pleasurable listening. 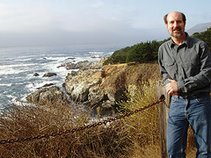 I really enjoyed hearing Ballerini's pronounciations of the many Roman and Italian names that were a part of the story of the discovery and copying of On the Nature of Things, a poem by the Roman poet and philosopher Lucretius. The Epicurean poet would approve, as the seeking of pleasure is a central theme to his first century B. C. poem that posed that all matter was made of tiny atoms. One of those great Italian names was Poggio Bracciolini, a personal secretary to an overthrown pope. Poggio (Greenblatt always calls him by the first name) used the freedom he had after losing his job to visit out of the way monasteries to see what forgotten classical texts he could find. As soon as he found a ninth century copy of On the Nature of Things, he recognized it as an important missing text. Because he could not borrow the book, he hired a scribe to make a copy, which he sent to a friend who contracted the making of copies in a better hand. Greenblatt contends that Poggio's discovery was a key event of the Renaissance, for the ideas contained in the poem were spread to dissenters who eventually broke the power of the Roman Catholic Church to restrict scientific investigation and discussion. The idea of atomic particles was considered by church officials to be a direct attack on the miracle of the eucharist. Poggio escaped being punished because he worked during a brief period of liberal thought but many others were burned at the stake later when the church tried to suppress the poem. The story told by Greenblatt is epic in size, including Greek, Roman, Medieval, and Renaissance history. 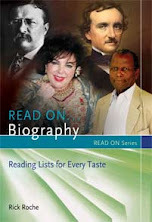 The conclusions even include William Shakespeare, Thomas Jefferson, and Charles Darwin. The Swerve is a bestseller worth reading and keeping. Greenblatt, Stephen. 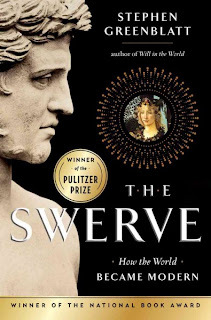 The Swerve: How the World Became Modern. Recorded Books, 2011. 8 compact discs. ISBN 9781461838227.